FOLSOM, Calif. — Concussions in football have been well documented. But what about baseball? Ryan Freel, who spent six of his eight Big League seasons with the Cincinnati Reds, was not the first Major Leaguer to take his own life. But, the circumstances surrounding the former Tallahassee Junior College standout’s suicide were. Freel, 36, was found in his Jacksonville, Fla. residence on December 22, 2012 after an apparent suicide. “I don’t know how many times he would talk about sliding into second or third base and blacking out or seeing stars,” stated Freel’s former wife Christie Moore Freel. Freel’s step-father Clark Vargas believed Freel sustained at least 10 concussions in baseball and his ex-wife shared the story of a Venezuelan winter league game in which Freel had to be hospitalized for a concussion after running through a fence. After one of his last concussions in MLB, Freel reported he stayed in bed for five days, was unable to read very much, and driving made him sick and dizzy. The family has donated his brain to the Boston University Center for the study of Chronic Traumatic Encephalopathology (CTE). An undersized player by MLB standards, Freel was a player who played the game with a hell-bent for leather attitude. He was a super utility player who stole 143 bases, and hit .269 in eight MLB seasons. “I don’t have the size and the power, but have the heart. Anybody can have that,” he’d tell youngsters who aspired to become MLB players. Baltimore’s Brian Roberts knew something was wrong after sliding head first into first base against the Red Sox in May 2011. There was no collision with a knee or other body parts of the defensive player covering first. The two-time All-Star got up, and his head began pounding and his vision was blurred. Roberts looked across the diamond and did not recognize any signs from the third base coach. He had suffered a concussion from the whiplash effect of the slide. And it was the second in about seven months. Two days later, he was placed on the disabled list and did not return to the Orioles until June 13, 2012 which was more than year after the injury. He had also concussed himself in September 2010, just five games before the end of the season. 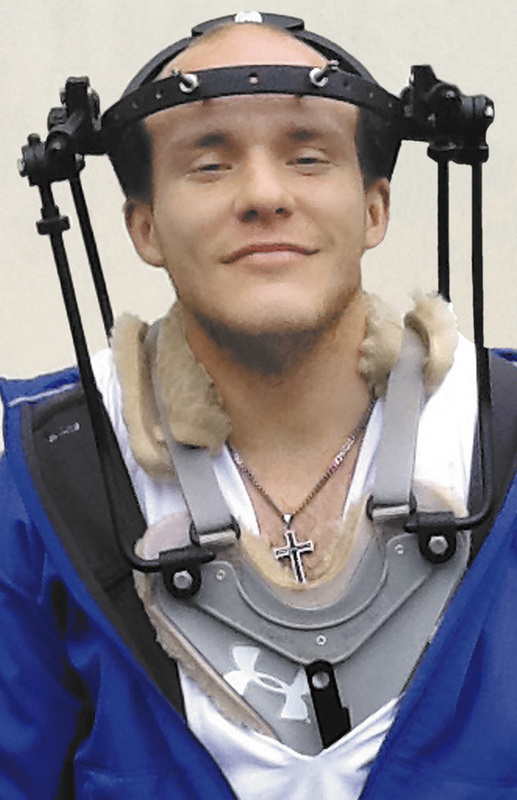 To read more about this in-depth story on concussions, purchase the April 19, 2013 edition. To obtain this issue or start a subscription, click here. Should Fans Have Legal Rights During Games? TUCSON, Ariz. — When a baseball fan is hit by a line drive, and a serious injury takes place, should he be allowed to sue? Or does the disclaimer on the back of the ticket saying the holder assumes all risks associated with ball-related injuries absolve those who operate a stadium and team of future lawsuits? The question has come into focus after Bud Rountree was hit by a line drive in the eye at a Boise (Idaho) Hawks baseball game in August of 2008. The severe damage caused by the impact resulted in Rountree losing his eye. His attorney filed a lawsuit against the stadium owners and the team in 2010 for negligence in state court. Several weeks ago, the Idaho Supreme Court ruled that the lawsuit could move forward. It was a rare setback for stadium owners and teams concerning this issue. 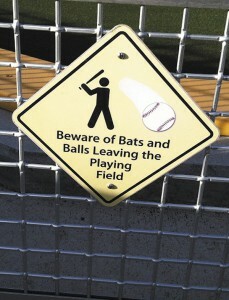 For decades, the “Baseball Rule” of liability has been adopted for such situations as lawsuits have been turned away from courts because of the disclaimer on the back of tickets with those attending games knowing the potential danger of foul balls, thrown balls and bats flying into stands. It didn’t matter in this case. This ruling has reverberated throughout all of baseball. If a jury rules in favor of Rountree’s lawsuit, all of baseball will be impacted, including college and high school games. You might see more protective netting being put up or even have fans sign their tickets to show they know what the disclaimer on the back of their ticket says as they hand them to stadium personnel entering parks. 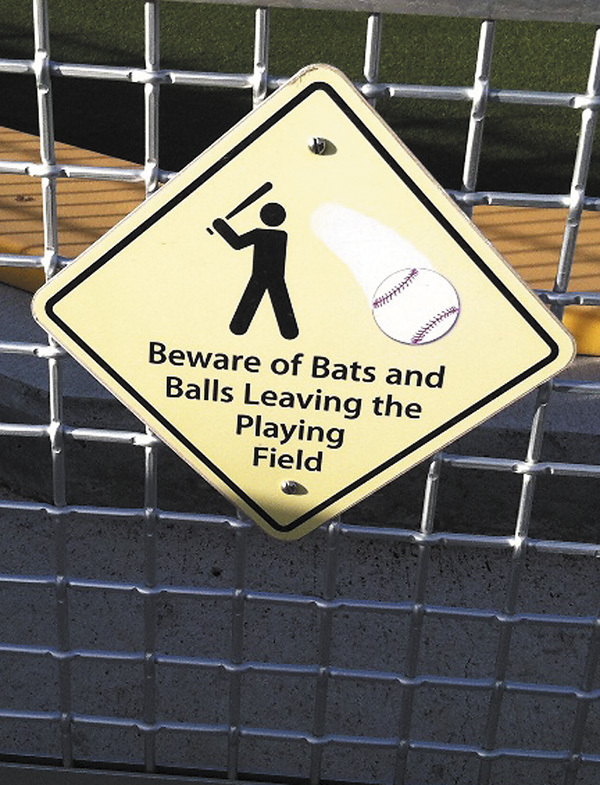 Another case took place in New Mexico when the parents of a 4-year-old child launched a lawsuit against the city of Albuquerque and the Albuquerque Isotopes minor league team after their son was hit in the head by a long fly ball during pre-game batting practice. The family was eating in the picnic area located just beyond the left field wall. Different courts in New Mexico have gone back and forth over whether the family should be given compensation for the head injury. It should be noted that the Baseball Rule siding with teams and stadium owners has been adopted by courts in Massachusetts, New York, Michigan and other states which go against the recent Idaho Supreme Court ruling. How Many Fans Are Hit? While Collegiate Baseball knows of no source that tracks fan injuries from foul balls by Major League Baseball or the NCAA, Bob Gorman has done unscientific research for his blog Death At The Ballpark. He kept a count of foul balls entering stands for 20 games during the 2010 season which amounted to 166 innings. He counted 405 fouls that went into the stands which was an average of 2.44 per inning. The greatest number of fouls per inning was 5.4 over a 5-inning stretch. The lowest figure was eight during 8 ½ innings (.09 per inning). He pointed out that the Detroit Free Press did a similar project for one game. During a Tigers’ contest at Comerica Park, they had a crew of 22 people spread throughout the park tracking balls that entered the stands (including fouls, homers, and balls tossed to fans from the field). Of the 46 fouls that game, 32 met the paper’s criteria of entering the stands. Of these 32, 23 were from batted fouls. The average for this 8 ½ inning game was similar to what Gorman found in his research: 2.7 fouls per inning. Of the thousands of professional, college and high school baseball games that are played each year, you can multiply that number by the number of innings played and then multiply that figure by 2.4 to get a realistic idea of how many balls are hit into stands each year. And that figure is obviously in the thousands. For More On This Story: Read more about injuries at the College World Series and other ballparks and who is liable. See the March 22, 2013 edition of Collegiate Baseball. Single copies can be purchased for $3 each. See Subscriptions for ordering information. TUCSON, Ariz. — Cancer can devastate a family as University of Arizona RHP James Farris knows all too well. In a little over a year, he had to deal with three members of his family being diagnosed with this deadly disease. During his freshman season with the Wildcats, his grandmother Nonnie suffered greatly as cancer invaded her body and caused both of her legs to be amputated before she passed away. In December of his freshman year, his sister Jordan suffered when a huge, cancerous tumor was discovered in her chest as she underwent chemotherapy. Jordan coped with the side effects of chemotherapy as she lost her hair, vomited and was fatigued after the lengthy procedures as poison was essentially pumped into her body to kill the cancer cells. And if that wasn’t enough, James’ dad (Jim) was hit with this sinister disease a year later. Imagine being away from home at college while this is all unfolding in your life during your freshman and sophomore seasons. Not an hour went by that James didn’t think of family members suffering. Cancer is the leading cause of death worldwide, accounting for an average of 7.6 million deaths a year, according to the World Health Organization. Deaths from cancer worldwide are projected to continue rising with an estimated 13.1 million projected to take place each year by 2030. According to the Centers For Disease Control, cancer claims the lives of more than half a million Americans every year. One in every four deaths in the United States is due to cancer. 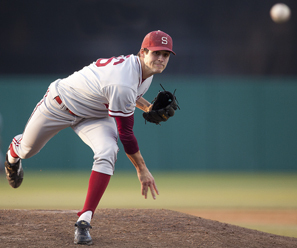 Despite dealing with cancer at every turn, he had a superb season last year and pitched one of the greatest games of his life during the 2012 national title game against South Carolina. Because he was the third starter, he had not pitched in 22 days before his start against the Gamecocks since Arizona’s No. 1 and 2 pitchers won two straight at the Super Regional against St. John’s. These same two pitchers each threw two games in Arizona’s first four games of the CWS. Farris was more than ready for his chance in the title game. He threw a masterpiece with only two South Carolina hits being allowed in 7 2/3 innings as he struck out four. The Gamecocks didn’t even get a runner past first base through the first six innings. Read The Entire Story: The complete article appeared in the Feb. 22, 2013 edition of Collegiate Baseball. To obtain a copy or start a subscription, call us at (520) 623-4530.